A social media lesson and worksheet on responsible use for online apps. Respect others online and treat others as you would wish to be treated. 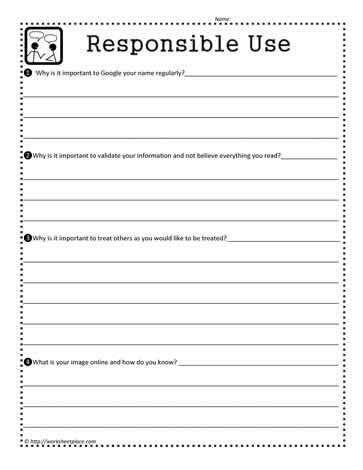 Students should complete the worksheets for a greater understanding of social media use for youth.